On behalf of the Lakeview PTA, I would like to welcome you to the 2018-2019 school year! It is going to be another amazing year at Lakeview Elementary School. We have been working tirelessly all summer to plan programs and events that are fun for your students and inspire you to become involved with PTA. We invite you to partner with us to support this year's school theme of "Making the World a Better Place." There is no better way to make Lakeview a better place than by having YOU on our team! One of the best things about PTA is that you can be involved as little or as much as you desire. We understand that not everyone can be involved with every opportunity and that is what makes PTA such a great organization. By simply joining, you are supporting Lakeview, your student, your teachers and your PTA...you do not have to volunteer to make a positive impact. I look forward to meeting you at our next General PTA Meeting & New Family Welcome on Tuesday, September 11th at 6:30 p.m.! You are your child’s advocate! Make your voice heard with a PTA membership! Be the difference for our school and every ’LIL Bobcat ! Click here to join now. We currently have 358 members and next is you! We invite you to join us at our New Family Welcome immediately following our first PTA meeting of the year on Tuesday, 9/11 at 6:30 p.m. Meet new and seasoned Lakeview families, learn about what your PTA has planned for the year & how to get involved! Light refreshments will be served. We look forward to meeting you! Your PTA has tools and resources to help support your child in education, the arts, health and safety and community engagement. 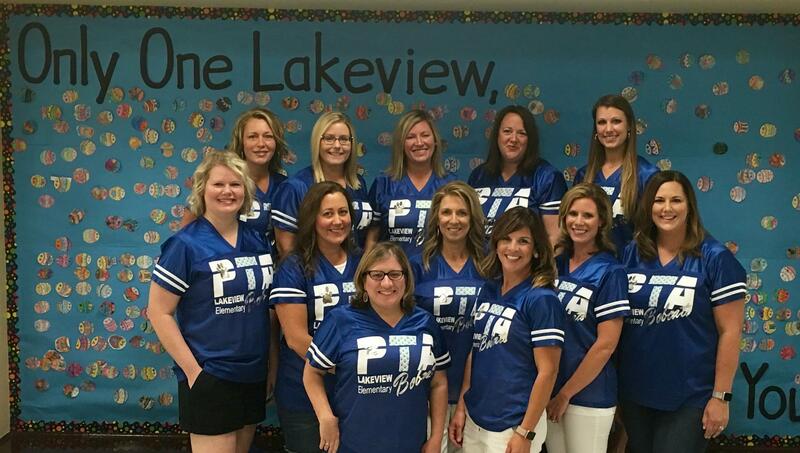 Please take some time to browse our website and get to know your Lakeview PTA. Thank you to everyone that purchased Bobcat Spirit Wear in our first round of orders! We can't wait to see all the kiddos and parents in their new Lakeview gear! If you missed the first round of orders, be sure to place orders for spirit wear, as well as your student's FREE grade-level T-shirt that all students wear on field trips and field day. >Click here to order. But hurry the store closes at 11:59 PM on September 5th! You can also support Lakeview with your everyday shopping when you shop AmazonSmile! Search for "Lakeview PTA-Trophy Club, TX." Amazon will donate 0.5% of the price of eligible AmazonSmile purchases to Lakeview. This only works when you specifically shop on smile.amazon.com so be sure to bookmark the AmazonSmile page on your browser! Have you been saving your Boxtops all summer? Feel free to send them to school at any time for collection in the Boxtops container in the library! In lieu of contests, this year we will be drawing winners from all students that have submitted Boxtops during each 6-week grading period. For more information on our Box Tops Rebates Program, click here to visit our page. Thank you to our sponsors: Cinemark, Yumilicious, and Chick-fil-A for providing gift cards for tasty treats for our winners. The Lakeview PTA will host a Bobcat Dash Fundraising Night at Kendra Scott Southlake on Thursday, 11/8 from 6:00-8:00 p.m. Be sure to join us! Save the Date for Reindeer Romp on December 8th. Click here for details. All Bobcat Run Club participants automatically receive a Reindeer Romp registration. Help Lakeview Elementary win new PE equipment by participating in The 21 Day Challenge! Registration begins September 17th – October 1st. To register click here. 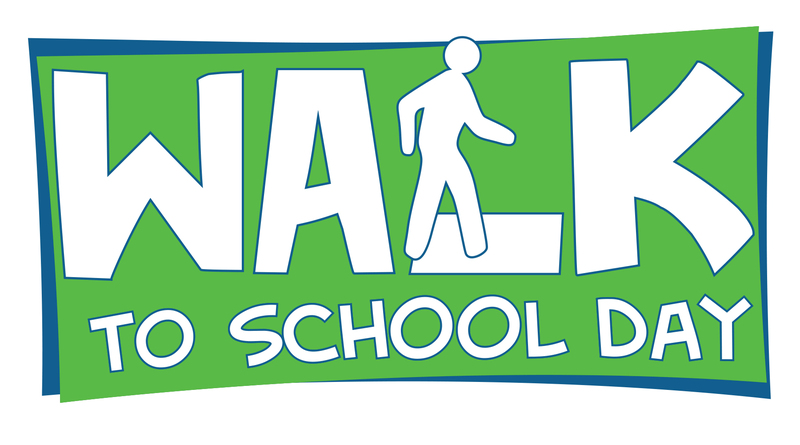 Join your Lakeview community for National Walk to School Day on October 10th. Click here for details. Unleash your child's creativity with the PTA's Art Reflections Program. Come find out more information and participate in Art Night on Tuesday, October 9th! Art supplies will be provided for Art Night on 10/9. For more details on the PTA Reflections Program click here. Email Arzu Toyoglu with any questions. 4th & 5th Grade Chorus will begin on Wednesdays starting September 26th. A Google Form Sign up will be sent out soon! NISD Children's Chorus audition information will be sent home this week to all fifth grade students. Please return INTENT TO AUDITION FORMS to Mrs. Adams by Friday, September 7th. The Veteran’s Day Concert is a school-wide event which will be held on Monday, November 12 at 8:15 a.m. Each grade level will sing a song for our Veterans in the auditorium. Volunteers Needed: A parent is needed to organize a committee who will invite Veterans to our concert and host a small breakfast reception for them in the library. If you are interested in creating this committee; please contact Mrs. Adams at monica.adams@nisdtx.org. Thank you! Congratulations to Lyndsey Bourne and Hilary Holcomb for being our Lakeview Volunteers of the Month! We REALLY appreciate all of your hard work! Lyndsey put in countless hours to bring our families some awesome Spirit Wear options. Hilary has dedicated her volunteer hours this year to our Box Tops & Rebates programs and has done an awesome job getting these set up as Lakeview PTA fundraisers! Our family as two kiddos at Lakeview this year - Abigail Bourne in 2nd Grade and Jackson Bourne in Kindergarten. I am originally from Tulsa, Oklahoma. My hobbies and interests include: Crafting, Young Living Oils, planning & journaling, shopping, spending as much time with my family as I can. A fun fact about our family is we moved back to the DFW area a year and a half ago after spending a few years in San Diego, California. We are so happy we chose to make Trophy Club our new home and feel blessed to be a part of this amazing Lakeview family. My husband Randy and I have been married for 16 years. I have two kiddos that attend Lakeview. Halle is in the 5th grade with Mrs. Palmieri, and my son Landry is in first grade with Mrs. Frazier. I also have 4 year old boy and girl twins named Asher and Ansleigh who attend Fellowship Friends Preschool. We have lived in Trophy Club for 6 years now. I’m originally from the small town of Lake Jackson which is on the coast, near Houston. Before having kids I worked as a Speech Language Pathologist. Working with adults and teens that had suffered brain injuries was my passion! Now a days, my passion is taking care of 4 kiddos and getting them to all their sporting events and activities on time. I’m excited to be in charge of promoting Box Tops and Rebates this year. I look forward to getting to know more parents and teachers, and making some new friends!